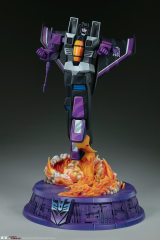 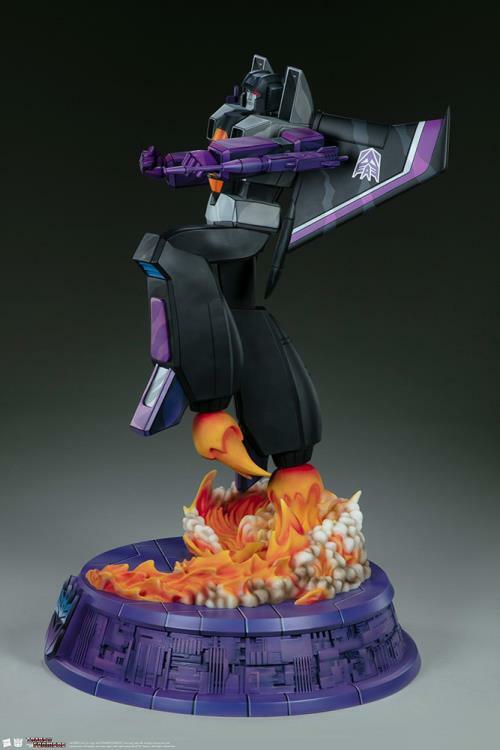 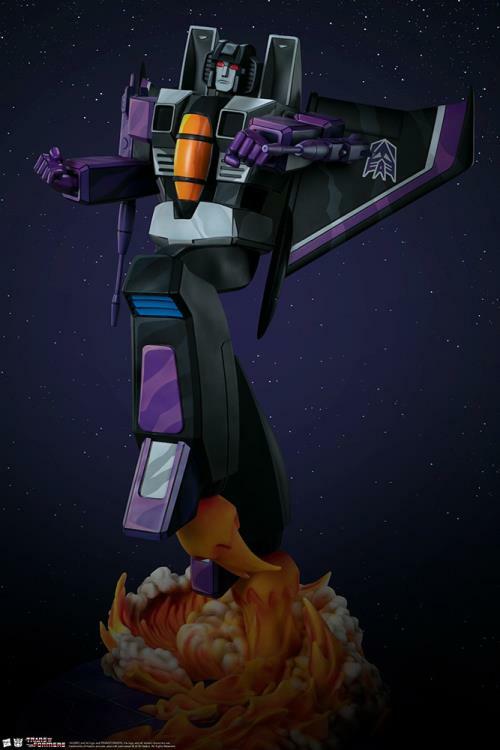 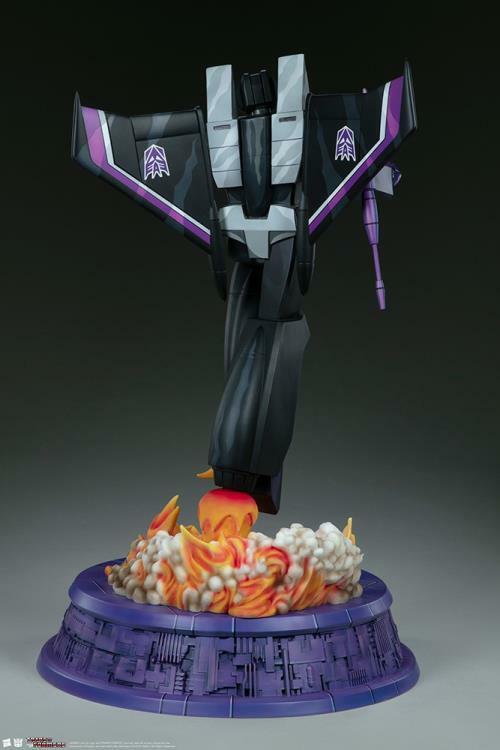 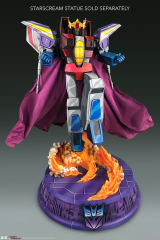 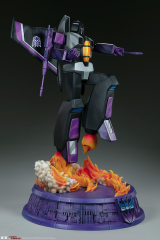 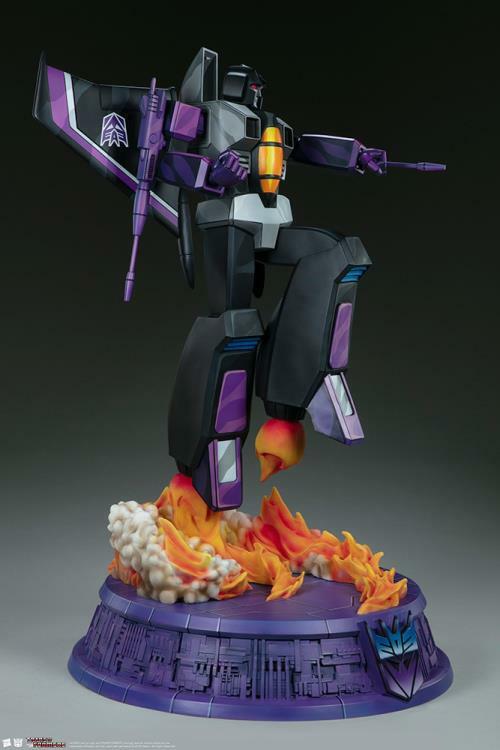 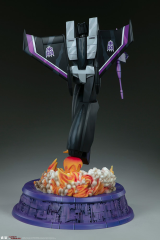 The Skywarp Statue measures 26.5” tall, as the treacherous jet fighter launches off of a purple mechanical base detailed with the Decepticon logo and a sculpted trail of flame and vapor. 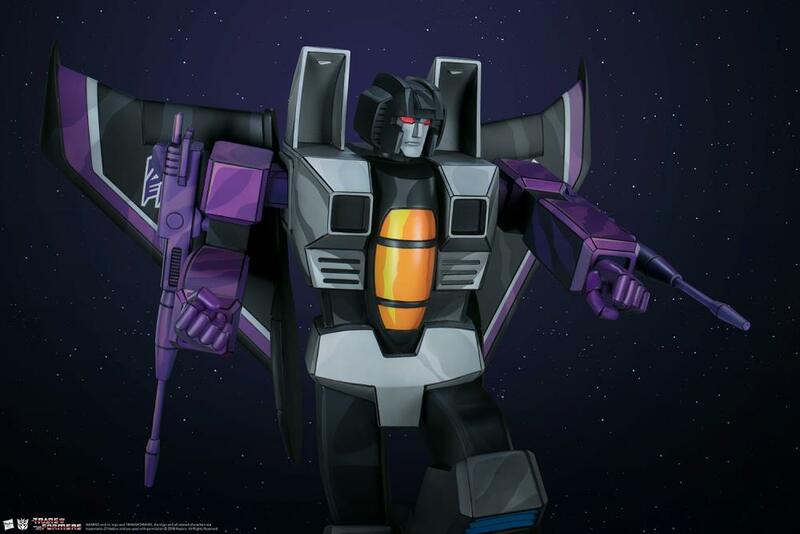 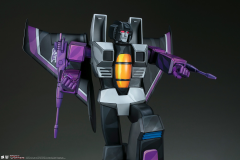 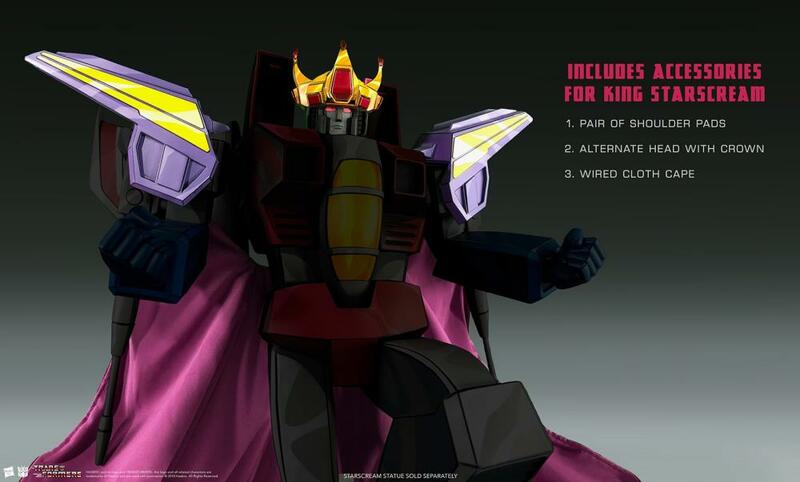 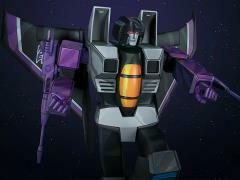 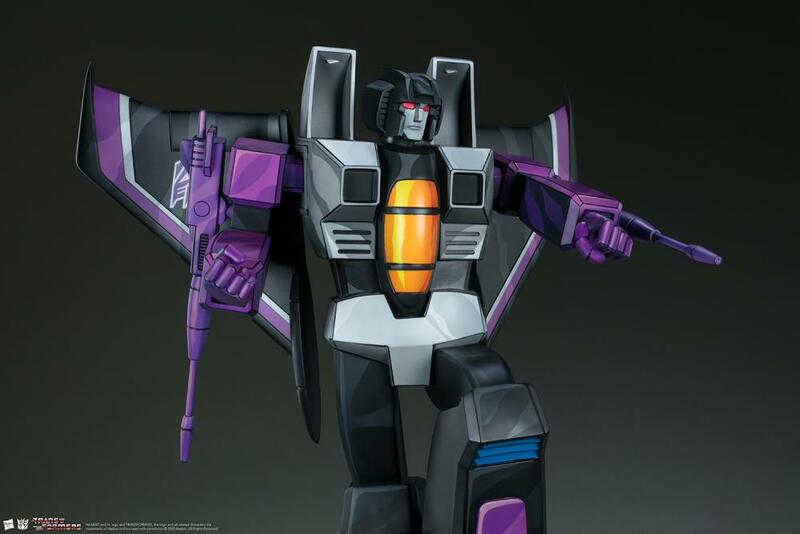 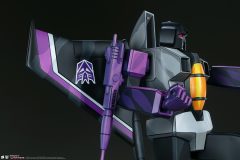 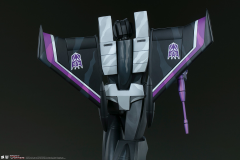 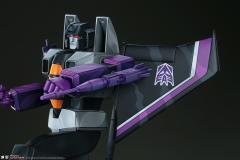 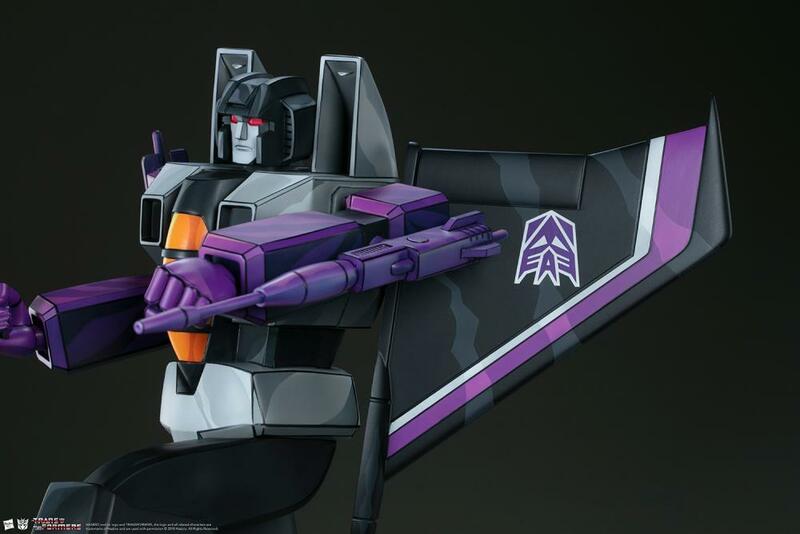 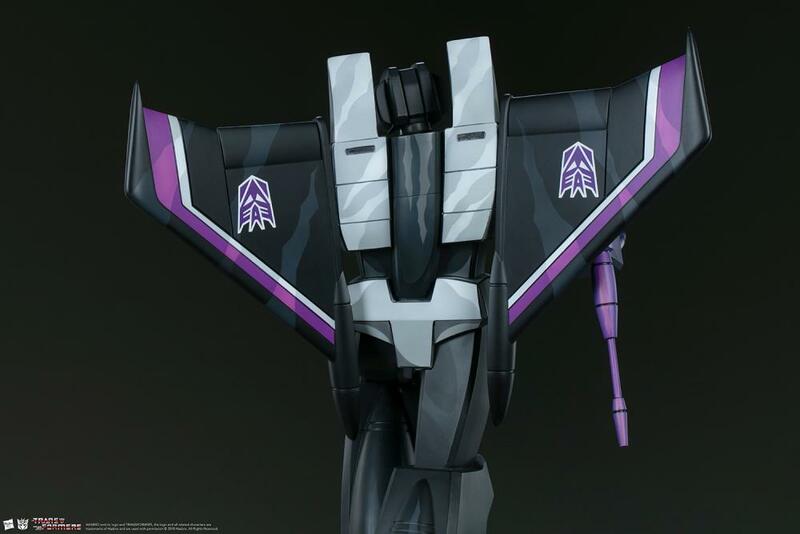 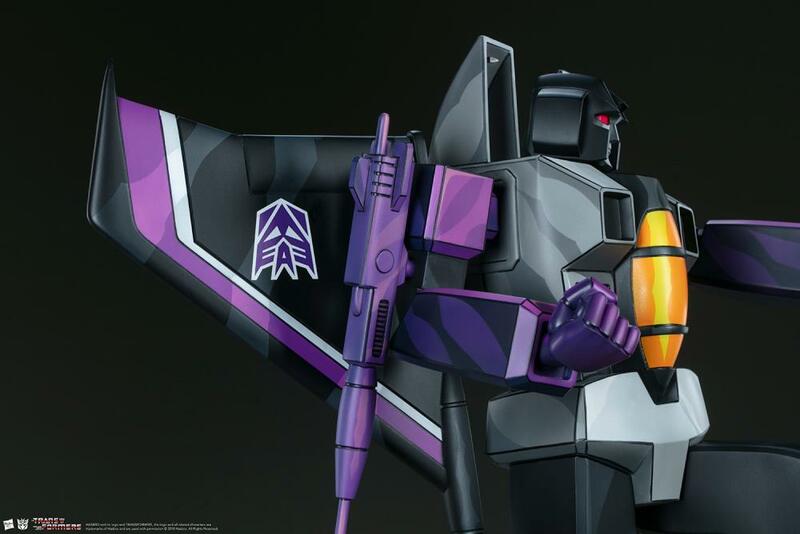 Skywarp features an incredibly unique paint application in a variety of purple, grey, and black tones with red and orange detailing to capture the iconic animated appearance of the Generation 1 Transformers. 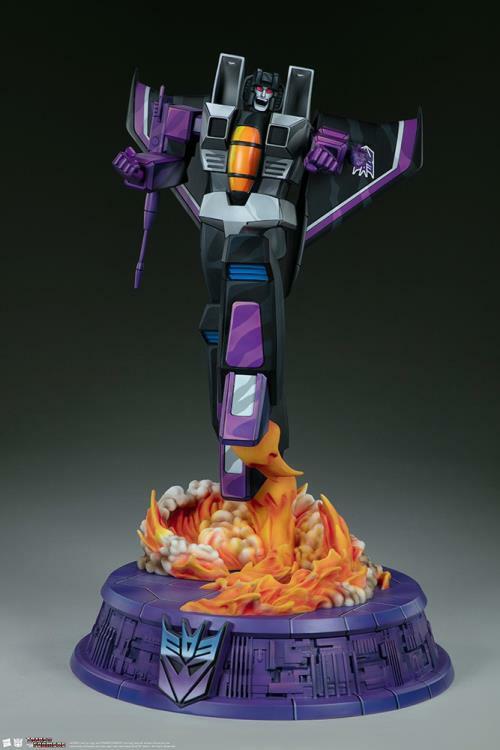 This statue also includes two interchangeable portraits- one featuring a maniacal laugh and one with a focused expression.